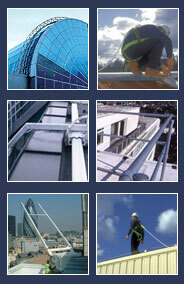 Building Access Solutions for access systems with safety built in as standard. Building Access Solutions provide complete access solutions, which can include equipment design/building interface, safety and access systems specification, window cleaning/maintenance strategy, safe access/egress and rescue procedures. We offer standard and bespoke safety and access system solutions tailored to provide an access solution and meet the requirements of each project balancing the needs of the client, architect and main contractor. A full design and consultancy service is provided to architects at early planning stage and beyond to aid with planning and CDM requirements. We are extremely proactive in approaching architects at early project stages to advise architects of the possible impacts a BMU system for example can have on a building with regard to size and weight. This service is free and can save considerable problems if addressed early. 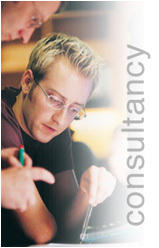 Our consultancy services are offered to both new build and existing sites. Should there be scope for equipment supply or installation we would not normally charge for this consultancy service. Upon discussion of the project details we can advise as to our fees. The new working at height regulations stipulate that there must be a rescue procedure in place for all roof and façade access strategies. We at Building Access Solutions would also like to offer our services to address this issue with building owners and management companies for existing sites with roof and façade access systems in place. We can provide the complete rescue package required to comply with WAHR. Should this service be of interest please contact us ON 01293 419574 for an appointment and or details of our consultancy fees.